If a Picture’s Worth a Thousand Words…..
A week or so ago, I was “running my mouth” and said something about a picture not taken being worth zero words. And then I paused and questioned that almost immediately. I’m all about taking the pictures. (Rarely in them, but that’s a whole ‘nother story.) I take them in important moments, whimsical moments, “make me laugh so hard I’ve got to get this shot right now” moments, and in moments that hardly seem special at the time at all. 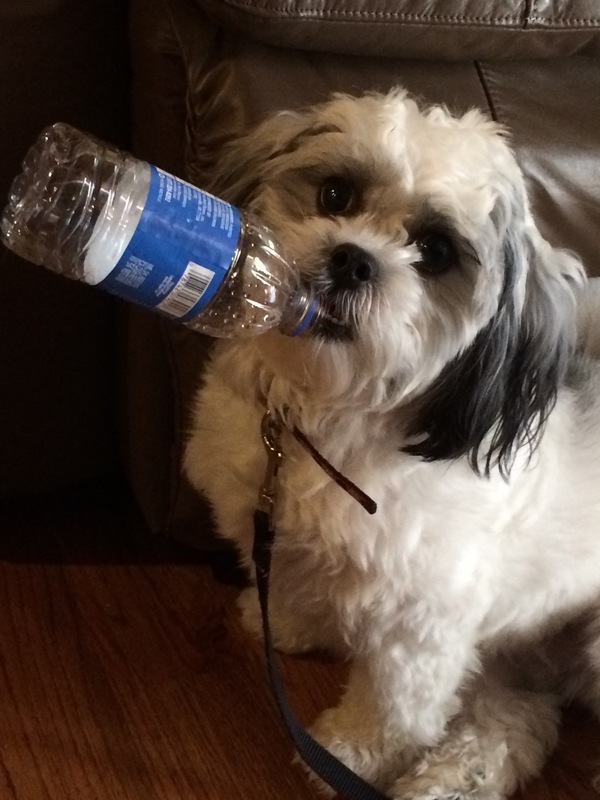 Miss Sophie pulled the empty water bottle out of her sock monkey toy. This made us laugh. So glad I was able to get this shot. Here’s one of those “laughing so hard, oh please let me get it” moments, just for the fun of it. 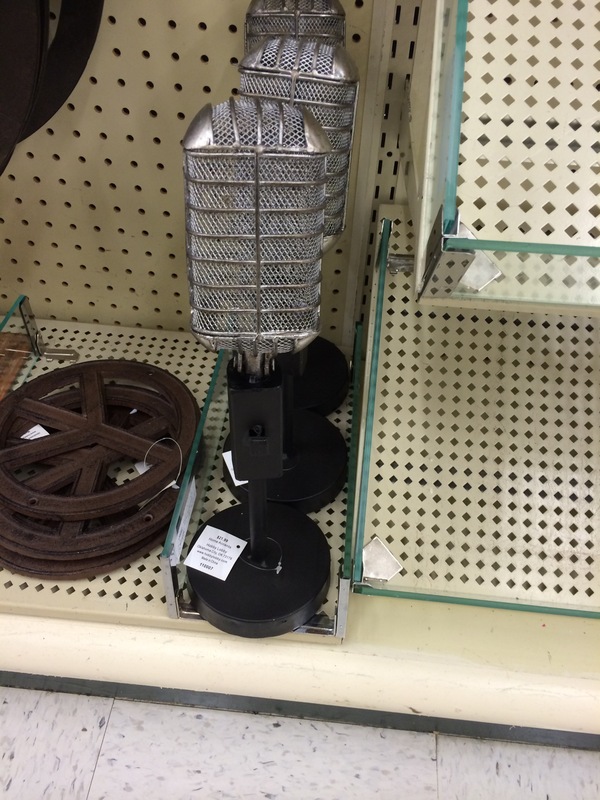 An old-fashioned microphone for your home decor. Oh-kay…..interesting, considering our earlier conversation. I also take pictures of things I want to remember. Like an item in a store. About thirty minutes before I saw this in the store, we had just been talking about the old-fashioned microphones with our Princess. I wanted to remember that they had them if I decided we really “needed” one. 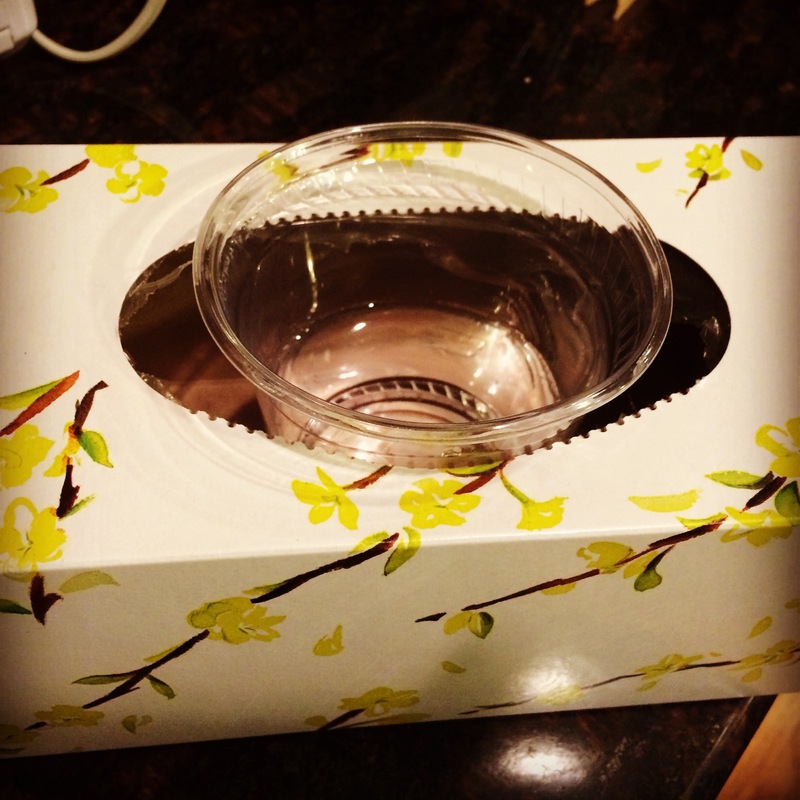 Cooter picked up the empty tissue box and said, “Mama if you pull out all of the plastic it makes a great cup holder.” Then he proceeded to pick up the whole box and drink from it. That boy…..
Once upon a time in my previous life, we were on a trip to Disney and I found myself lugging around a big video camera and trying to document each precious moment. And you’re at Disney, for goodness’ sake–so each moment is precious if for no other reason than the average price per moment, right? But I got to the point where I realized I was spending a majority of my time watching everything from behind the lens, and I wasn’t really living in the moment. I was going to go back later and enjoy watching the videos over and over. Big fun. So I stopped. I took a few pictures that were treasures, but I stopped taking pictures of every little thing. And I enjoyed things more. I had kind of forgotten my resolution. Our trip to the Mouse House this past summer went okay, but I probably did take more pictures than I needed to. It was last Tuesday evening at the Fair that it came back to me. Sometimes a picture not taken is worth a whole lot of words too. I was sitting with my family watching Robinson’s Racing Pigs. (These are the same pigs that led me to meet Phil Keoghan–yep, the guy from the Amazing Race–but you’ll have to wait on that story too.) It was a beautiful night and the stars were out. After dark the Fair seems even more magical. As the pigs came out and began to race, I thought, oh, let me take a picture, let me get shots of my babies cheering on their favorites. Wait. A bystander? Watching from the sidelines–behind the lens again? Cheering them on as they cheered pigs on? I decided to put my camera (okay, phone) away and get in there and cheer alongside them. So no, we don’t have pictures of the little piggies waiting for someone to be the first one to jump in and swim across the waterway to get to the Oreo at the finish line. But what we do have might just be a little more precious. We have the stories from the night that both of the littles were selected to be the main cheerleader for his/her pig, how our Princess handed me her drink cup so she could throw both hands in the air to cheer her pig on. How we oohed and ahhed when those little cuties didn’t want to get in the water, and laughed out loud when they eagerly swam across and gobbled up their cookie treats. And we all did it together. No side-lining it or staying behind the lens to be ready for the next perfect shot. I love great pictures as much as anyone, but sometimes, sometimes I like being a part of the memory-making and not just the recorder of it. And that’s when no pictures make for some fabulous stories.